Sony has launched its latest smartphone series Xperia X in India. The Japanese tech giant, which was earlier speculated to be launching just the Xperia X and the Xperia XA smartphones, has also launched the Xperia XA Ultra in the country. There were, however, no announcements made for the Sony Xperia X Performance. Sony for now has only revealed the price and the availability details of the Xperia X and the Xperia XA. 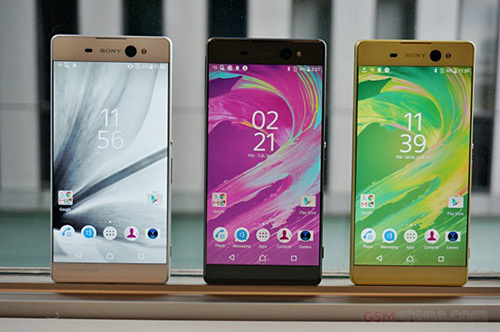 The company said it will soon release the price and the release date of the Xperia XA Ultra. While the Sony Xperia X is priced at Rs 48,990, the Xperia XA is priced relatively less at Rs 20,990. Xperia X goes on sale on starting June 7, while Xperia XA will be available starting June 18. Both are up for pre-orders exclusively from Amazon India and come with dual-SIM support as well. Starting with the Sony Xperia X, the company this time has stressed on the smartphone's build, battery and camera over other factors. The tech giant in a conference listed some new features that the smartphone boasts of. According to Sony, the Xperia X can now launch the camera app, focus on the desired subject, and can click the image, all under 0.6 seconds. The handset also has an intelligent autofocus that results in sharper and clear images. Another new technology used in the camera department is the Predictive Hybrid Autofocus, which automatically guesses what subject to focus next, so that images taken in the nick of time don't appear blurry. The low-light shots taken from the front-facing camera have also been improved. The company also gave details on its new Qnovo adaptive charging technology that is supposed to extend the battery life of the smartphones. While the Predictive Hybrid Autofocus feature is only available in the Xperia X, the Qnovo technology comes in all three handsets. As for the specifications, the Sony Xperia X runs Android 6.0.1 Marshmallow out-of-the-box with its own Xperia UI skin on top. It houses a 5-inch Full HD (1080x1920 pixels) resolution Triluminos display and packs the hexa-core Qualcomm Snapdragon 650 processor, clubbed with 3GB RAM and Adreno 510 GPU. The Xperia X houses 64GB of inbuilt storage, which can be expanded via a microSD card up to 200GB. Besides the aforementioned camera features, the Xperia X includes a 23MP rear camera with Exmore RS sensor, autofocus, and LED flash. It also has a 13MP front-facing camera with the same Exmore RS image sensor. On the connectivity front, the smartphone supports, 4G LTE, GPS, A-GPS, Wi-Fi 802.11 a/b/g/n/ac, Bluetooth v4.2, NFC and Micro USB connectivity. Backed by a 2620mAh battery, the Xperia X is rated to deliver a battery life of 2 days under certain conditions. It also has Quick Charging 2.0 and its own Stamina Mode to save battery. It measures 143x69x7.7mm, and will arrive in White, Graphite Black, Rose Gold and Lime Gold colour variants. It also has a power button on the right, which also couples as the fingerprint sensor. 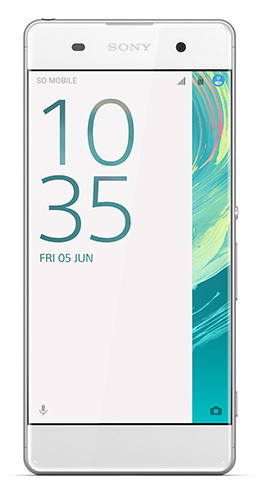 The Sony Xperia XA's highlight is its edge-to-edge display that has minimum screen bezels on the sides. The Android Marshmallow-based smartphone comes with the same 5-inch display but with a lower HD resolution. It is powered by an octa-core MediaTek Helio P10 (MTK6755) processor, clubbed with 2GB RAM. It has 16GB of inbuilt support, but users can any time expand the storage space up to 200GB via a microSD card. A 13MP rear camera features Hybrid Focus with Exmor RS sensor is included along with an 8MP Sony Exmor R sensor. The Sony Xperia XA supports the same connectivity features as the Xperia X. The smartphone includes a 2300mAh battery, which also supports Quick Charging technology. There is also no fingerprint sensor in the model. The Xperia XA will be available in the same colours as the Xperia X. Although the company did not reveal much about the Sony Xperia XA Ultra, it did show the specifications of the device. To recall, the Sony Xperia XA Ultra features a 6-inch Full HD display and is powered by the same processor like the Xperia XA but with 3GB RAM instead of 2GB. There is a 21.5MP rear autofocus camera onboard along with a 16MP front-facing camera, which is one of the highest pixel count in a front-facing camera of a smartphone until now. Besides supporting the same connectivity features as the Xperia X and the Xperia XA, the Xperia XA Ultra has a 2700mAh battery with the Qnovo adaptive charging technology and houses 16GB of inbuilt storage, which can be further expanded via a microSD card up to 200GB. It measures 164x7.9x8.4mm and weighs around 200 gram. It will arrive in White, Graphite and Lime Gild colours. Sony says it will be offering free content worth Rs 2700 from apps like Kindle, Sony LIV, Hungama Play and more. 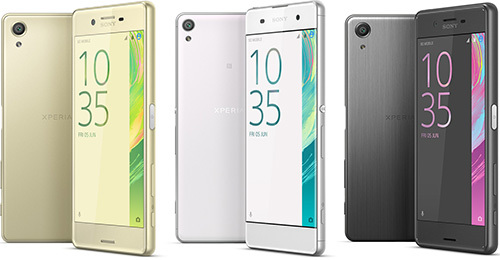 The Xperia X and the Xperia XA will also be available in EMI options.